LIQNET.COM is a Singapore-based cryptocurrency exchange. But really it’s very different from any exchange you’ve seen before. More correctly would be to call LIQNET an exchange aggregator. LIQNET collects orders from other cryptocurrency exchanges into one single interface and allows users to trade at the best prices and large volumes. So why is liquidity important? Liquidity is always a problem in a bear crypto-market. For a crypto whale, low liquidity basically means that you will not be able to buy or sell a significant amount of coins and miss out on profits or even lose money. According to a research conducted by the Blockchain Transparency Institute, more than 80% of the volume exchanges show is fake. These exchanges are trying very hard to show that they are active and they have users and liquidity. Well, LIQNET is thinking outside the box here and aiming to disrupt the market with their own liquidity pooling technology. The situation on the cryptocurrency market is completely different than on the currency market. Large transactions with cryptocurrency have a very serious impact on the change of quotations. This is due to the fact that the liquidity of cryptocurrency is rather low, and the lower the liquidity, the smaller the transaction can lead to a serious change in prices. So large traders face the problem that they have to pay significantly more than they planned because of this. There may simply not be enough coins for a deal at the exchange these large players have chosen. LIQNET is a meta-exchange that collects orders from other exchanges through open APIs and allows them to be traded in one place. 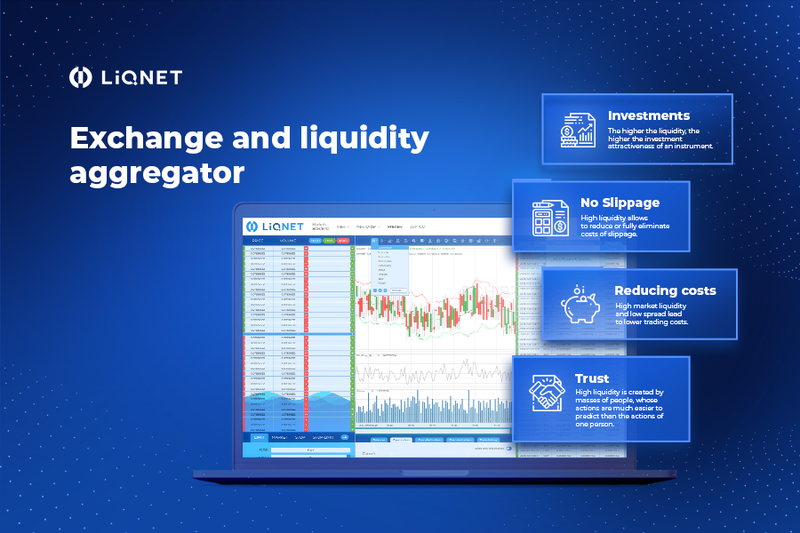 In addition to obvious convenience, this functionality greatly increases liquidity for LIQNET clients, and this is an increase in trading speed and, as a result, traders’ profits. This also has the added benefit that LIQNET is not competing with these exchanges, as it trades using their API and pays fees! So in effectiveness, LIQNET is a new generation of exchange built above existing infrastructure and improving on the negative aspects of exchange usage. LIQNET’s liquidity collection mechanism is called LEN – a proprietary technology of the company. The name stands for Liquidity Exchange Network. It collects and combines the orders of clients of the exchange and the orders of other sites into one order book. So LIQNET clients can trade in this huge stream of orders and they have an edge over those who sit on the same exchange or try to monitor several separate platforms. Additionally, LIQNET allows for complex trading instruments some other exchanges don’t have, such as take profit, trailing stops, Iceberg, IFD, OCO, IFDOCO orders and more. The head office is located in Singapore, where there are very strict cryptocurrency laws. This means that LIQNET complies with the most advanced international standards. For the server part, they use a geo-distributed private cloud, while the client part consists of a web terminal. They cooperate only with experienced and reputable players, and each version of the exchange is subject to a strict independent security audit. There is a two-factor authentication, KYC through a reliable partner. You can read LIQNET’s whitepaper for more safety solutions here. LEN token is the main community-building tool of LIQNET. Its owners will receive discounts on trading, so they will have a certain closed club of privileged investors. They will be able to communicate with each other in chat rooms and forums. LIQNET’s founders will listen attentively to the opinions expressed in them and will try to improve the exchange for customers every day. There are several key benefits token holders get. First, holding tokens grants a discount of up to 90% on exchange fees. $10 worth of tokens grants you reduction of fees by 90%. Since average commission on the site is 0.15% this means that when you are trading from $6,666 you are already profiting from owning tokens and saving money on fees! Second, holding tokens grants you voting rights like choosing what trading pairs appear on the exchange and ways to spend collected commissions. 1 LEN token = 1 vote. Buy-out of the tokens on our platform at current prices to support the demand for them thus evading low price token sales and, therefore, the access of users to ultra-high discounts in large volumes, which can lead to a drastic decrease of the volume of the exchange’s fees. Third, and most important, LEN tokens have an excellent growth potential because LIQNET has strong fundamentals and an experienced team. Around a third of top exchanges have their own utility token and it can be a very strong investment instrument because it is tied to a working product. For example, you all know Binance and BNB – at creation BNB cost around 15 cents, now its over $6. Thats 40x. At its peak it cost $25 – thats 166x. And this is not only limited to BNB – other exchanges with their own token saw it grow 5 or even 10 times from the starting price. You will also be able to earn by inviting your friends to LIQNET! And this referral system has tiers, if people you invite bring in more people, you will get a % from those people as well. What’s really awesome about our multi-tiered referral program is that even after the ICO ends the referral system will keep working and you will be able to earn with the structure you create. LIQNET was founded in 2015 by Roman Shirokov, Vyacheslav Kasatkin and Yevgeny Tarasenko. All of them have a proven track record in finance, stock and forex trading and information technologies. These guys saw the problems of current trading platforms and created a solution based on their experience. LIQNET is a fully licensed exchange and you can be sure that your funds will be safe. They hold several EU financial services licenses, for exchanging a virtual currency against a fiat currency, providing a virtual currency wallet service and operating as a financial institution. Join LIQNET’s Facebook and Twitter to stay updated on news and events! Brazil’s largest brokerage, Grupo XP, made headlines last year when it became the first major exchange to open itself up to the trading of Bitcoin and Ethereum. 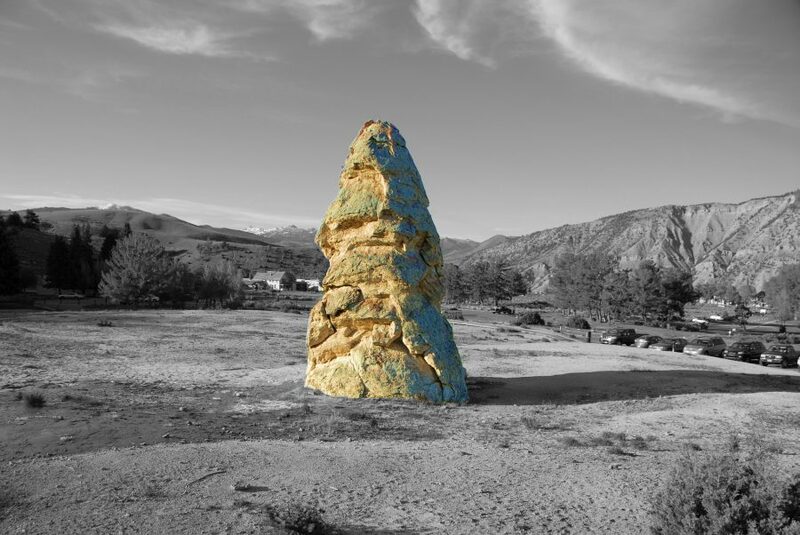 As a development long anticipated, this involvement of cryptocurrency on the highest stage signaled a level of acceptance and mainstream viability which many crypto followers have been predicting for years. As the two biggest names in the cryptocurrency market, Bitcoin and Ethereum are acting as vanguards in this respect. This has not only raised the public profile of the two currencies, but it has also driven significant additional interest to crypto and digital currencies as a whole. As Brazil stands as one of the progressive and forward-thinking markets when it comes to financing, this raises questions as to the role which digital payments might play in an increasingly technological world. Can we ever expect it to take the place of traditional cash? To answer this question we need to look at just how far digital currencies have come in the short time they have existed. Nowhere is this growth more evident than with PayPal, perhaps the most well-known digital money system on the planet. Originally founded back in December of 1998, PayPal was not the first in the business, but it offered a level of user-friendliness and convenience which set it above all of its contemporaries. Pushed by such well-known names as Peter Thiel and Elon Musk, PayPal proved itself in how well it integrated into many major online retailers. 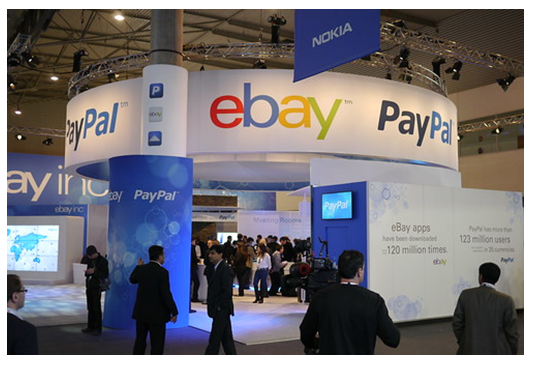 The most famous of these was the most powerful online auction house in the world, eBay, which later acquired PayPal in 2002 for $1.5 billion. Since then, PayPal continued its path to victory by offering high-quality security and international connectivity, and through the acquisition of related companies such as Fraud Sciences, Braintree, and Hyperwallet. Now with 254 million users, PayPal’s success has shown that there is room for competitors, which helped shine a light on the road which competing forms of currency, and newer digital systems like crypto, would follow. While PayPal prides itself as a jack-of-all-trades, others preferred to follow their own path. Idebit, for example, instead focuses on offering services dedicated to users in Canada. Some of the more popular services offering idebit include online casinos like Guts and Rizk. As these are bound by similar regional limitations, it makes sense that they would operate in cooperation, as this has proven the best way to legally offer the best bonuses and deals. Our focus of crypto, on the other hand, places its most significant emphasis on the anonymity of its transactions. This is not something which is offered by the likes of PayPal, which instead attempts to act as an online replacement for traditional finance systems, rather than an alternative to. With dedicated markets for crypto and other forms of digital currency now offering goods and services on a level which challenges traditional fiat currencies, the fact that the old-fashioned will increasingly be usurped is nothing short of inevitable. 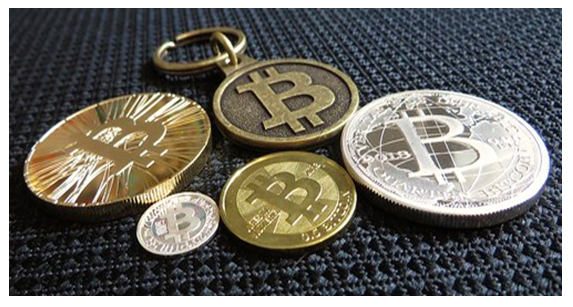 While the inherent power and connectivity-reliant nature of these mean that they will never entirely replace the coin or note, the decrease of worldwide emphasis on these older systems is already happening, and will only grow more pronounced in the future.